Get your eyes ready folks cause you’re about read some August favourites! I love these posts because I love chatting to you guys about what I’ve been enjoying and reading comments about what you love too. Here is a round up of all the things that have been getting me through July & August! I tried this after seeing so many reviews saying it is a holy grail product. I didn’t really think much of it, I mean, how good could a facial spray be? I WAS WRONG. This spray is so good. I use it after cleansing and moisturising or before makeup for an extra hydration boost. Sometimes if I wake up in the night I spray it on my face cause it’s refreshing. August has been a really stressful month and this is such a relaxing step in my skincare routine – loves it. It smells like traditional rose turkish delight and is such a fine mist it doesn’t make your whole face dripping wet. I have been on the lookout for a cleansing oil for a while now because I like to remove my makeup with something nourishing for my skin and hate the feelings of wipes or micellar waters. I found this one at Kmart after realising Palmers were cruelty free and for a mere $16, I popped it in my basket. I’ve been really enjoying using it! It smells like vanilla and coconut and feels so nice on my skin. It removes makeup SO easily and doesn’t leave me feeling greasy afterwards. I follow it up with my usual Mario Badescu cleanser. Another Kmart Palmers find…but I have been on the search for a hand cream for my desk at work for so long. Not because I have particularly dry hands but because I wanted to have a hand cream I could put on my desk. Can you tell I’m very excited to have a desk? (If you didn’t know, I finally left retail after 8 years, hence the excitement over a desk). ANYWAY, smells great, dries quickly and does a stand up job of keeping my hands in tippy-top shape. This podcast is perfect if you like conspiracy stories, unsolved murders, strange UFO happenings and other unexplainable stories. I listen to it all day at work and it’s so interesting! My fave episode is season 1 episode 2 Resurrected Dreams. So creepy! Seems out of place to put this in a winter favourites, but listening to podcasts makes me feel so cosy when it’s raining outside! I recently got an eye test and it turns out, I am so blind I need long distance glasses and reading glasses. 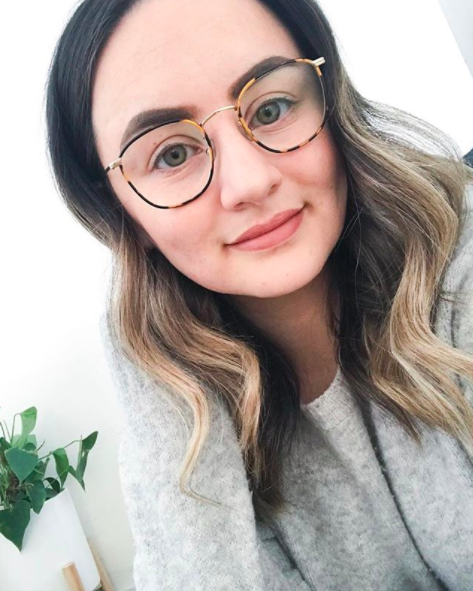 Thankfully, Bailey Nelson have the most amazing frames to choose from. I ended up getting the same style but in two colours – gold and tortoiseshell. They are super lightweight and feel so natural to wear. I might also add, the eye test was FREE (!!!) and was so thorough! The optometrist that tested me was really friendly and explained every little test to me so I knew how to explain what my issue was every time. If you follow me on Instagram you’ll know I recently got the biggest package from Wet n Wild! They are a cruelty free makeup brand that launched in NZ this month. Out of everything I got, there are definitely some stand out products and this is one of them. Admittedly, this bronzer is no where near dark enough to be a bronzer. It’s as pale as my setting powder! There are other colours that I’m dying to try out but the reason I love this one is because it’s the most perfect glowy highlight. It looks so natural on the skin and gives that daytime glow that I’m all about at the mo! I hope you liked reading about my recent faves- there are SO many. What are your faves from August? *This post contains products that were sent to me, however all opinions are 100% my own. Which Wet n Wild bronzer is that? I know there’s one of their bronzers that lots of people like to use as setting powder! I love those glasses so much, I really want a pair from them!